The success of the EU – Turkey agreement in the refugee to tackle irregular immigration and improve the living conditions of refugee migrants was welcomed by the German government on Monday. “For the German government, this is a common success for both Europe and Turkey,” Chancellor Angela Merkel’s representative said at a press conference in Berlin. “After this agreement, fewer people died in the Aegean while they were trying to enter Greece,” Steffen Zebert said. “With regard to the second important outcome of the agreement, the living conditions of more than two million refugees in Turkey, most of whom are Syrians, have been greatly improved through various projects supported by EU financial assistance,” added Zeebert. In this context, he underlined that Germany will continue to support the agreement. 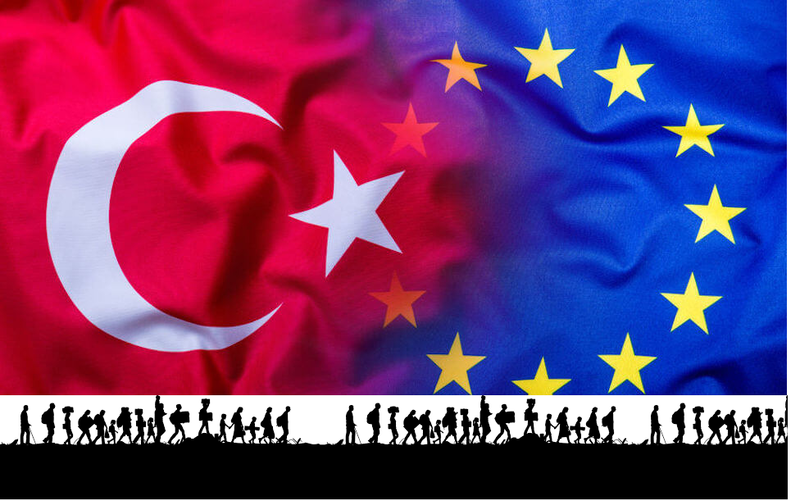 In March 2016, the EU and Turkey agreed to take tighter anti-trafficking measures, prevent irregular migration through the Aegean Sea and improve the conditions of Turkish refugees. Despite the recent political tensions between Ankara and European capitals, Merkel has rejected the calls of the German opposition to suspend Turkey’s EU membership talks and backed a policy dialogue with Ankara. To this direction, EU leaders and Turkish President Recep Tayyip Erdogan are expected to meet at the Varna Summit in Bulgaria on 26 March. As Steffen Webert pointed out, the Chancellor and Interior Minister agreed that it is now necessary to extend the control of the German border. Error: Error validating access token: Session has expired on Saturday, 20-Apr-19 06:31:58 PDT. The current time is Wednesday, 24-Apr-19 08:05:41 PDT.